LOS FRESNOS, Texas — Calling from an unreliable phone at the Port Isabel Detention Center, her voice sounds muffled, and far away. To be understood, she needs to keep repeating herself. For her to hear the person calling, they need to yell. Blanca wishes more than anything else that it was her two daughters, ages 6 and 14, on the other end of the line. But she hasn’t spoken to them since they were separated at the border, after a long journey from Honduras. It’s been almost three weeks. 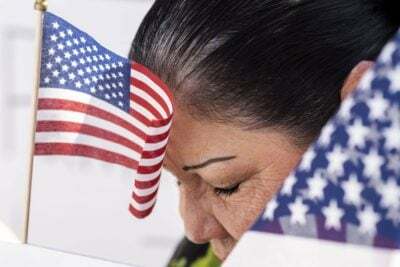 To arrange calls at the facility run by Immigration and Customs Enforcement, parents need to fill out a request form. Blanca says she has submitted five. As President Donald Trump’s “zero tolerance” policy, which separated more than 2,500 children from their parents at the border in May and June, stretches into its third month, the administration has to contend with some impending deadlines, set by a judge last week after the American Civil Liberties Union sued. By July 10, children under 5 must be reunited with their parents. By July 26, all families must be together. By Friday, officials must arrange phone calls between all parents and children. But a week after Department of Homeland Security officials called their process to reunify families “well-coordinated,” many parents at Port Isabel — the primary facility housing separated parents — don’t know where their children are and some still haven’t been able to reach their kids, according to three detainees interviewed by ProPublica, along with two family members of parents inside and five lawyers granted broader access to the facility, who say they have interviewed more than 200 separated parents and guardians. ProPublica is not including the detainees’ last names at their request; their immigration cases are still pending. “I just want to tell my son I love him,” sobbed Arely, a mother from El Salvador, during a phone call with a reporter. She, too, had been in detention almost three weeks without a call. ICE did not immediately respond to questions posed Friday about parents not being able to speak with their children, and being in the dark about their whereabouts. It did not respond to additional questions posed Sunday about how many separated parents are being held at Port Isabel, how many have been able to speak with their kids, and whether any have been released on bond. The parents wait in a detention center where the telephones barely work, there’s no internet, and officers shut off the TV news when the topic turns to immigration, the detainees said. Phone conversations are guarded — detainees know calls are recorded. Rumors are what’s left. There was one about detention officers urging people to sign deportation papers as the quickest way to see their kids again. 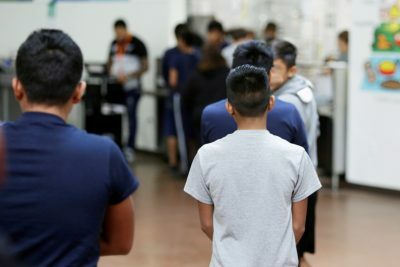 It’s made detainees wary about signing any piece of paper, even when it comes from lawyers offering to help connect them with their kids, said Sophia Gregg, an immigration lawyer at Legal Aid Justice. When she and a group of lawyers came from Washington, D.C., to conduct outreach interviews with the parents two weeks ago, many parents overcame their distrust enough to pass them letters, in hopes that the lawyers would find their children and deliver the messages. ProPublica reviewed a portion of the letters. In one, a father tries to reassure his daughter. Don’t worry, because I am with you. I want to ask you to eat well, and if you eat well, then I will be happy. In another, a mother apologizes to her daughter, for putting you in this situation that is so difficult … I just pray to God that you are well, because I am suffering a lot for you. I want this nightmare to end already, my love. No one outside DHS knows for sure how many separated parents are inside Port Isabel. Unlike some other immigrant detention facilities, this one does not make detainee information public, so the lawyers say it has taken extra work to reach parents. The lawyers who visited two weeks ago started with a small list of parents whose names they knew. Word of mouth within the dorms brought out more who previously had no contact with lawyers and no family members on the outside to help them. The lawyers say they now have a list of more than 200 separated parents from Port Isabel. They hope a new database launched by the Vera Institute and New America will help reconnect the families. In conversations with the lawyers, parents weighed the decisions they’d have to make: Continue an asylum claim or choose deportation, hoping the U.S. government would stand by its word to reunite them with their children? If they lost their asylum claims, would they ask their children to give up theirs, too, or try to place them with family members in the U.S.? Some worried that their children were too young or did not know enough to accurately describe the danger in their home countries, especially after their parents had done their best to shield them from it. Such details are crucial to winning asylum cases. Natasha Quiroga, an education civil rights lawyer who flew in from Washington to volunteer, said the stories flowed together: The mom concerned about her 7-year-old who is deaf and mute; the dad who had just signed his deportation orders, hoping it meant he would be reunified with his 4-year-old; the father who had no idea where his daughter was, and wanted to write a letter to her, but did not know how to write. 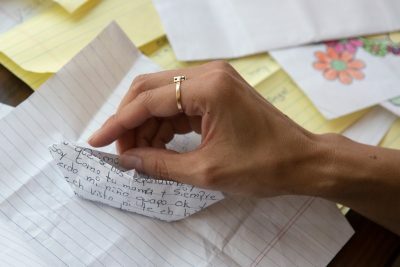 Quiroga wrote the letter for him, transcribing as he repeated the same sentence over and over, telling her how much he loves her and how much he hopes to see her soon. Such opportunities for contact with outsiders are rare at Port Isabel. The facility is tucked away down remote rural roads on Texas’ southeastern tip, making it difficult for lawyers to maintain a consistent presence. Trying to coordinate speaking with a detainee from outside is also difficult. ProPublica was able to arrange calls with three detained parents with the help of lawyers and a family member who contacted ProPublica about a relative’s case. People on the outside can call and leave messages asking a detainee to call them back, but cannot call a detainee directly. So parents call outsiders back at unexpected times. You must be available to pick up and sometimes have your credit card handy to pay for the call, or else lose the chance. Once on the line, their phones sometimes break up and lose service unexpectedly. ICE did not immediately respond to questions about this posed on Sunday. Democratic Sens. Elizabeth Warren of Massachusetts and Catherine Cortez Masto of Nevada toured the facility last week and offered their assessments. “It’s clear … They’re not running a reunification process here,” Warren said. In response, ICE promised to set up phone calls for every separated parent to speak to their children, lawyers said. ICE has also clarified that physical reunifications will not be taking place at Port Isabel, a detention center where children are not allowed to be held. “We are reuniting people via communication,” said Elzea. And so, this past week, a trickle of officially coordinated phone calls slowly began. Parents were called one by one to small visitation rooms to hear their children’s voices for a few minutes. Some parents were so overcome with emotion during the brief calls, it didn’t cross their minds to ask their children where exactly they were, Quiroga said. Before they knew it, time was up. Some calls were difficult for other reasons. One mother told Goodwin her 6-year-old didn’t want to talk to her on the phone “porque me abandonaste, mamá” — because you abandoned me, mommy. And Daisy, a 21-year-old separated from her 12-year-old brother, hung up feeling unsettled after a vague conversation, she told ProPublica. Normally hyperactive, he answered her in monosyllables. “How are you?” Daisy asked. Good, he said. “Are you eating well?” Yes. “Are you having any fun there?” Yeah. She said she brought her brother to the U.S. border from Honduras after their mother died. Their father was violent, she said, and she felt she was the only person looking out for him. Lawyers said they are worried the two may face even more roadblocks in trying to reunite, as Daisy is a sibling, not a mother. Even when family members do connect, it’s far from clear what happens next in the hastily created reunification process. For those who hold out hope that they will be able to receive asylum protection in the U.S., this weekend brought a glimpse of what reunification might look like when a mother was released Saturday from a detention center in Arizona, after she passed the first step of her asylum claim. Supporters helped her pay a $7,500 bond with a crowdfunding campaign and drove her to New York, where her three children — 6, 9, and 11 — had been placed in foster homes. She’ll be able to visit them as much as she wants from 9 a.m. to 5 p.m., but she can’t take custody of them while her asylum case is pending, The New York Times reported. A relative in North Carolina has applied to sponsor the children, but the mother probably won’t be able to live with them, because every adult in a sponsor’s home must be legally vetted. At Port Isabel, lawyers say they know of no parents who have been released on bond into the U.S. So Blanca waits, straining to hear what she can on her unreliable lifeline to the outside world. She said her sister-in-law told her that her daughters are now in a New York foster home. But a social worker told her sister-in-law the location is undisclosed, to protect the caregiver’s privacy. Jess Ramirez contributed to this report. Do you want to share information on a child held in a shelter facility or detention center to help our reporting? Let us know here.